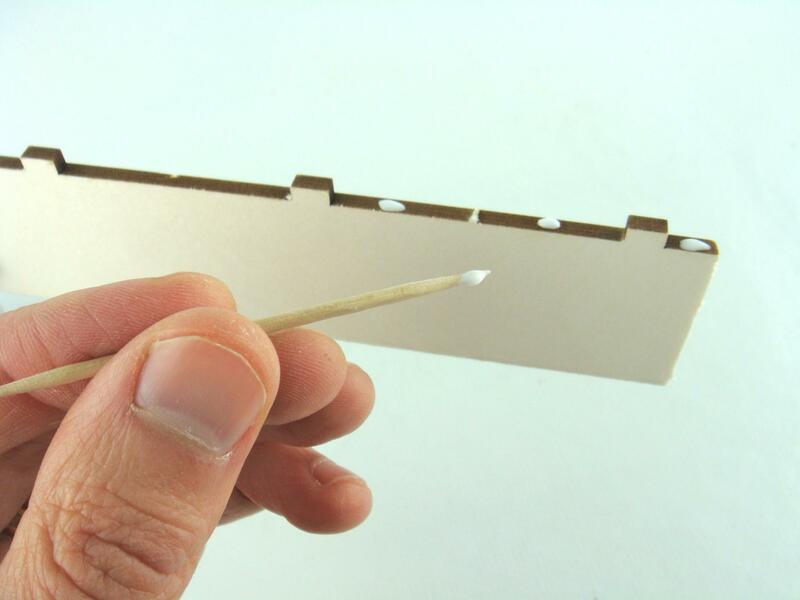 Mainly composed of wood-cardboard, kits Minifer are mounted with wood glue ; a few drops ! But beware, kits must be painted BEFORE stick them ! For further explanation on this topic, go to Painting the kits. The application of the glue is done simply with a toothpick or wooden skewer picnic, the latter two located in supermarkets. For best results and ease of application, we recommend you put wood glue into a smaller than the original container, and add a little water. You must obtain a fairly liquid glue (not too much ! ), In order that it does not dry too fast.